Martin Luther King Jr. Said: “Everybody can be great because anybody can serve. You don’t have to have a college degree to serve. You don’t have to make your subject and verb agree to serve. You only need a heart full of grace, a soul generated by love” The greatness of a man is not in how much wealth he has acquire, but in his integrity and his ability to affect those around him positively. Believing in negative thoughts is the single greatest obstruction to success. Successful people always trust themselves for greater height. They believe they can do it and they are right. Even when they get out of hand they trust in God’s ability that they can turn it around. You have to remember this all the time that you are special and you are unique. 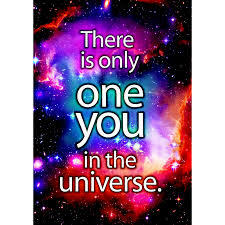 There is only one you in this universe. Nobody can talk like you do, breath like you do and think like you do. You have your own unique ability to create the success you want. When you truly believe in yourself, you’ll have the inner confidence within you. It’s more Important to think and learn about what you want to create in the future instead of spending time thinking about what others are thinking about you. There is no progress without action. What is not started today is never finish tomorrow. Some of the greatest idea failed to take action. Just remember, no action always results in a 100% failure rate. So get into action now, and begin to move in the right direction. Once you get started every step after wares gets easier and easier. Until eventually, what had once been invisible starts to become visible, and what once feet unattainable, starts to become a reality. Make your comment below and share or like this post. This entry was posted in success and tagged Dream, Habit, Insight, inspiration, Life, Life Changing, Persistence, Personal Growth, Principles, Self improvement, Spiritual, success, Wisdom.